Lavasa is a beautiful planned city with an artificial lake about a couple of hours ahead of Pune. It’s slightly infamous for not having lived up to the hype, but if you are looking for a mini vacation to a quiet town, here’s where you can go. While there are several regular options like Subway, Smokin Joes for pizza, All American Diner or Chor Bizarre for Indian options, you can also have a meal at Ekaant, a lodge with a restaurant has a wonderful view of the city. Of the many outdoor activities that take place in Lavasa, one of the most fun is the segway ride. Segways are machines with two wheels that you balance yourself on, and are incredibly fun to handle once you get the hang of it. The instructor will teach you how to operate the segway, and then you can ride it across Lavasa. These are priced at INR 400 for 15 minutes, or you can rent one for INR 1,500 a day. You may book one in advance here or get it on the spot. Lavasa also has a bunch of on the spot bike rental spaces where you can hire a bike by the hour. At Lakeshore, there are plenty of water sports you can try out. 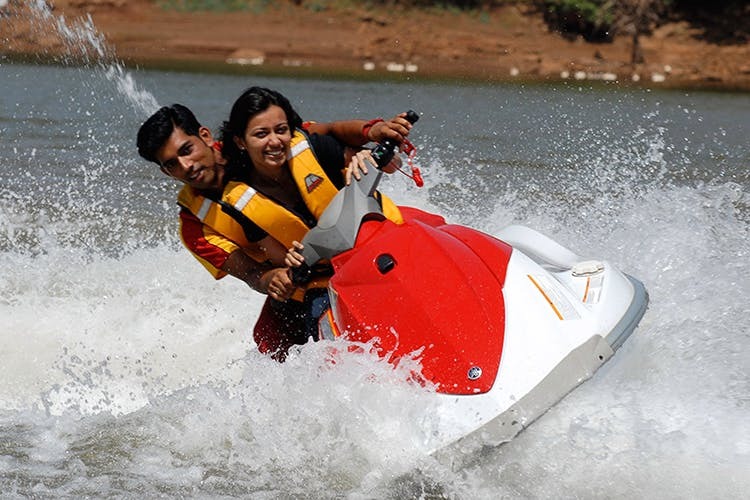 If you feel like getting out of the cosy room at all – jet skiing, bumper boats, peddle boats, as well as water volleyball are your many options. These activities depend on the weather and season, however. The timings start at 10am and go on till 5.30pm. The Temghar Dam just before Lavasa makes for a stunning visual, with the huge dam gushing water down the waterbody. On the road to the Temghar dam, roadside vendors selling warm vada pav and bhutta can be seen. #LBBTip: If you’re staying at Lavasa over night, just a note that accommodation there is on the higher end. If you don’t mind splurging a bit, one of the most beautiful properties with a colourful front is the Waterfront Shaw Hotel where you can get a room a night at INR 3000 onwards, and Ekaant where it is INR 6000 upwards.